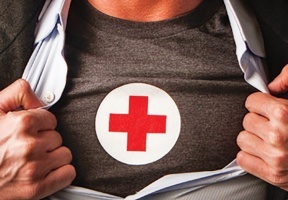 The American Red Cross of Chicago and Northern Illinois is accepting nominations to honor the heroes walking among us at its annual Heroes Breakfast in spring 2019. Every year the event honors local community members who have demonstrated heroism through extraordinary acts of courage or kindness. To nominate a hero, fill out the online nomination form. Nominations are due Friday, November 30, 2018. The heroic act must have taken place during the 2018 calendar year or be on-going. Candidates must also live or work in the Illinois counties of Boone, Bureau, Carroll, Cook, DeKalb, DuPage, Grundy, Kane, Kankakee, Kendall, Jo Daviess, LaSalle, Lake, Lee, McHenry, Ogle, Putnam, Stephenson, Whiteside, Will and Winnebago. 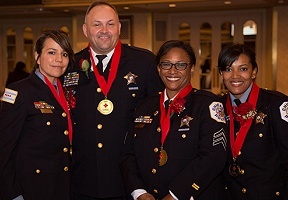 Honorees will be recognized at the 17th annual American Red Cross Heroes Breakfast on Wednesday, May 1, 2019 at the Hilton Chicago, 720 S. Michigan Ave, in downtown Chicago. For a list of categories or for more information, visit www.redcross.org/il/chicago.